Yuen Ying Chan is a journalist, journalism professor and media consultant. From 1999 to 2016, she served as the founding director of the Journalism and Media Studies Centre at The University of Hong Kong, a teaching and research department offering professional education, undergraduate and graduate degree programs. JMSC graduates work at major media organizations throughout the world, and some have launched start-ups to explore new forms of journalism in the digital age. Under Ms. Chan’s leadership, the JMSC has become the hub of pan-Asian journalism promoting journalism standards, freedom of expression and digital innovations. The JMSC is also a pioneer in the teaching of convergent media, data journalism and media entrepreneurship. 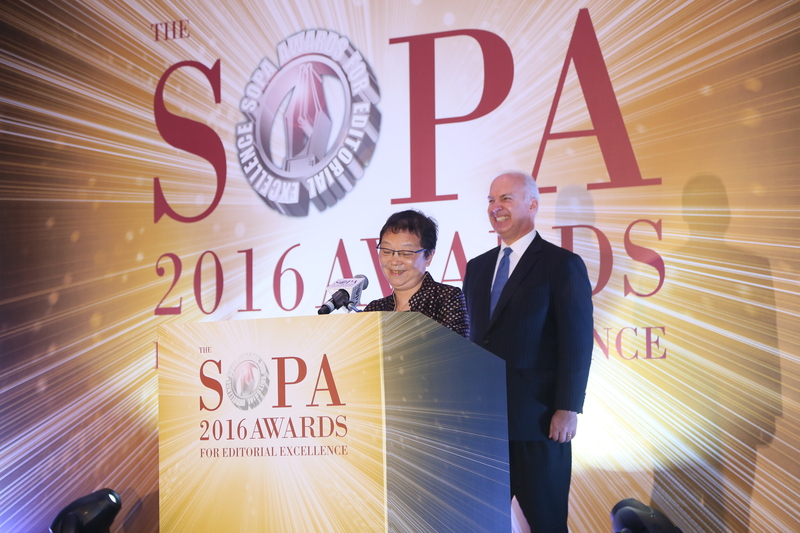 It has served as the administrator of the SOPA Awards since 2011. Ms. Chan also was the founding dean (2003-12) of the journalism school at Shantou University, China, where she set up programs grounded in journalism values of balance, fairness and truth-telling. Before joining The University of Hong Kong in 1998, she spent 23 years working as a reporter and editor in New York City for the New York Daily News, NBC News and Chinese-language dailies. Her honors include a Nieman Fellowship at Harvard University and a George Polk Award for her coverage of the people-smuggling trade from China. 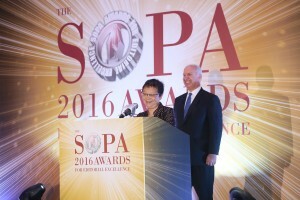 For her battle against a criminal libel suit in Taiwan, she was awarded an International Press Freedom Award by the Committee to Protect Journalists in 1997. In 2013, she received a Lifetime Achievement Award from the Asian American Journalists Association in the United States. Ms. Chan consults often for Chinese and international media organizations and contributes to the global journalism community through her many public service roles. She is on the board of directors of the Media Development Investment Fund and is a member of the World Economic Forum on Social Media. She is a founding member of the International Consortium of Investigative Journalists and has edited six books on the media in mainland China. Ms. Chan will retire from the JMSC in August and is plotting her life after.